“This dharna (Save the Constitution) is victory for the Constitution and democracy, so, let us end it today,” she said with Andhra Pradesh Chief Minister N Chandrababu Naidu by her side. On Tuesday, the apex court said that Kumar must “faithfully” cooperate with the probe agency in investigation of cases arising out of the Saradha and Rose Valley chit fund scam probes. The bench comprising Chief Justice of India (CJI) Ranjan Gogoi, Justice Deepak Gupta and Justice Sanjeev Khanna also said that the CBI cannot arrest the Kolkata Police chief during the course of investigation. 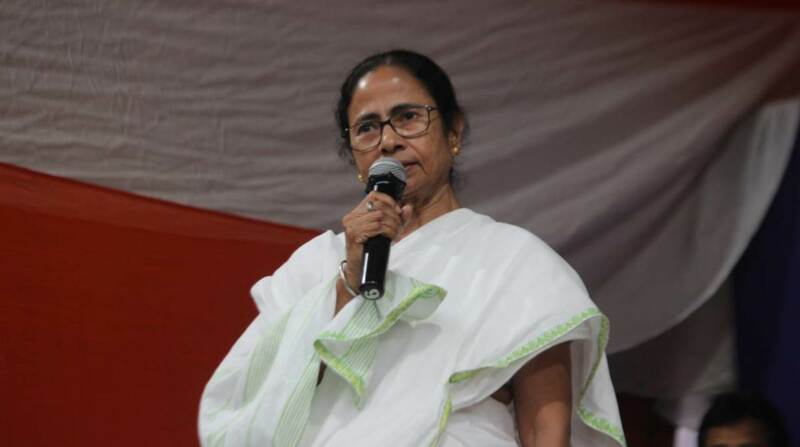 Reacting to the order, Banerjee said that it is a “moral victory” while adding that her government has great respect for the judiciary and all institutions. The BJP, too, said that the apex court ruling is a moral victory for the probe agency. “Today we’ve to ask larger questions on behalf of the party. Lakhs of small investors were cheated and looted off their money. Is it not our moral obligation for an investigation? Why is Mamata-ji silent on this? Why are the other political parties silent on this?” Prasad said. “This order was given by SC to investigate the conspiracy angle and also money laundering angle. This investigation must be done in a fair manner. Let’s not politicise it. This is a great moral victory for CBI,” he added. The Supreme Court also sought Kumar’s response before 20 February, the next date of hearing on the allegations by the CBI that he was tampering with electronic evidence and that the SIT headed by him provided the agency with doctored materials. In its order, the apex court also directed the West Bengal chief secretary, the DGP and the Kolkata Police Commissioner to file replies on the contempt pleas filed against them by the CBI on or before 18 February. Speaking from the dharna ground on Tuesday, Naidu, who is the chief of the Telugu Desam Party (TDP), described Banerjee as the “architect” of the federal front. 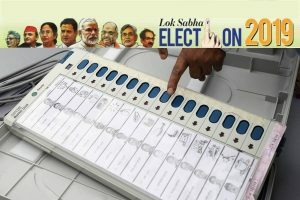 He also expressed confidence that TMC will win all 42 Lok Sabha seats in West Bengal in the upcoming general elections. At the protest venue, Rashtriya Janata Dal (RJD) leader Tejashwi Yadav slammed the BJP and said that the opposition parties are trying to protect the Constitution. Banerjee started the dramatic dharna on Sunday night, hours after a team of CBI officials tried to question the police Commissioner in connection with chit-fund scam cases. Kolkata Police officials not only prevented the CBI officials from questioning the police chief but also bundled some of them to the police station where they were detained for a while.